It's the last big push of the year where we need your help making this event a success. If everyone does a little it makes a huge difference. Doors open at 5:00 PM. First game is at 6:00 PM and ends at 8:00 PM. Please contact [email protected] or [email protected] if you have any questions. Set up tables and chairs, put table cloths down, set up decorations, help with kitchen setup, unload candy, pop and juice, get popcorn ready, etc. ZLE PARENTS ONLY. Sell bingo cards and daubers as people arrive. Make and sell popcorn and candy. 1 adult required per shift. ADULTS ONLY. Accept money and give change for food sales. Sell raffle tickets by the raffle baskets and monitor silent auction items. Accept tickets from people in line for face painting, make sure people in line know what design they want painted, keep kids that are in line under control. You don't have to deal with money in this position. Ensure kids are not running the halls at Armstrong High School. Direct people to bathrooms. Wear the Zach the Mascot costume and entertain the children. Help take pictures of ZLE students and families playing BINGO to post on our social media, website, etc. 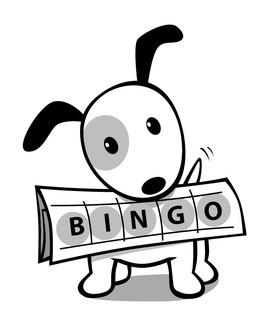 Walk around while bingo games are going on and be looking for winners. Check numbers for winning cards. ADULTS ONLY. Walk around the crowd and sell BINGO tickets. Clean up after Bingo. Throw garbage, put away tables and chairs, help haul things to staging area.